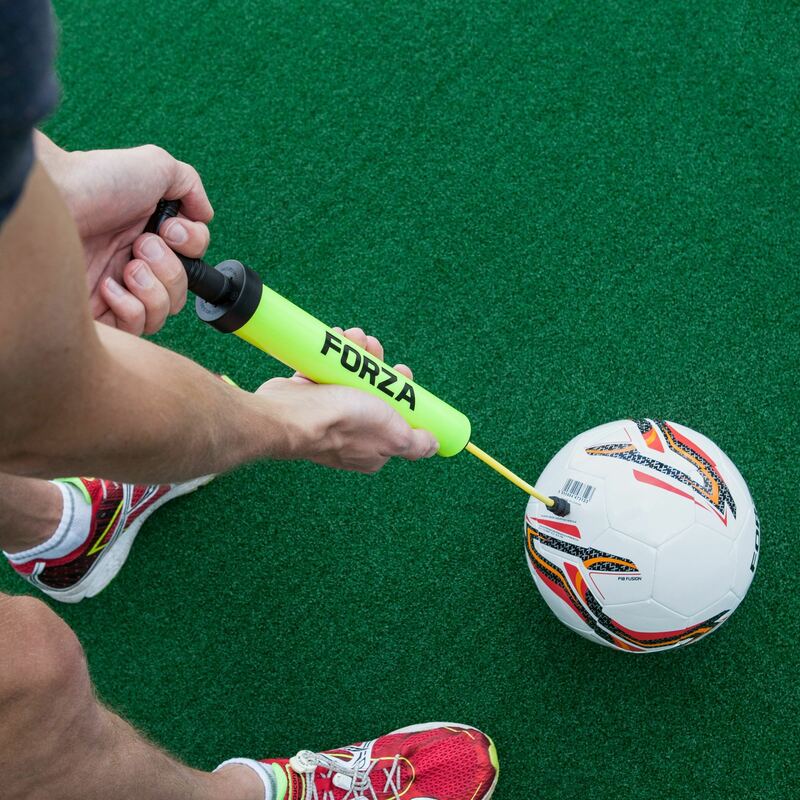 The FORZA Pump That Ball™ quickly inflates all air expansive sports balls. Dual-action air retention system and hidden storage compartment for a spare needle. Single euro needle provided. Compatible with the Ball Pressure Gauge Reader which can be found in the essentials drop-down below. Within the Pump That Ball™'s Handle is a built-in hidden compartment for safely storing the pump's euro needle adapter when not in use. Pump That Ball™ is capable of easily inflating ANY air-expansive sports ball, including our incredible FORZA ball range. 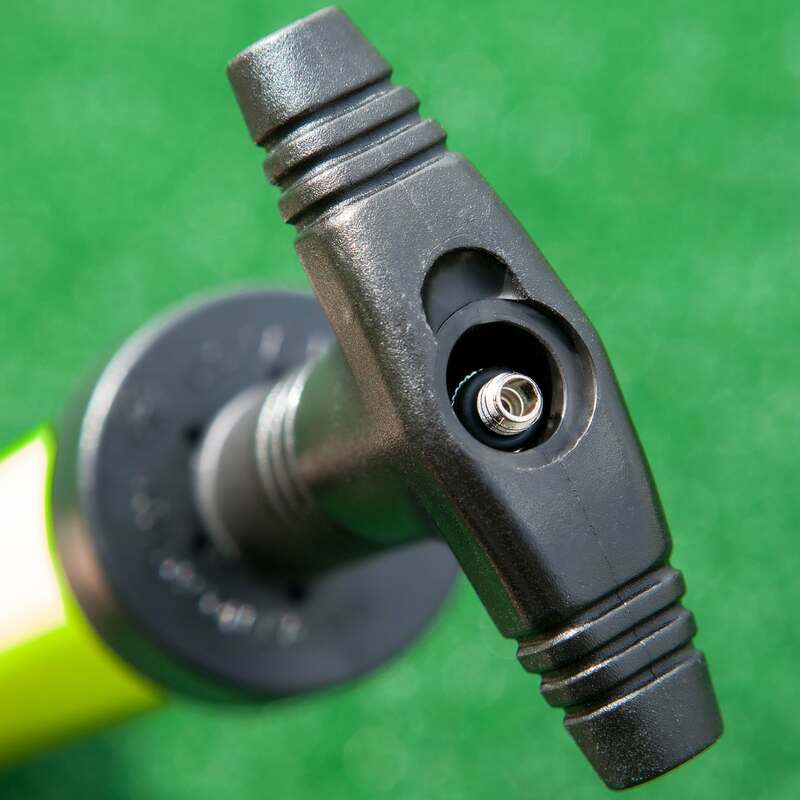 The innovative flexible nozzle ensures retention of ball pressure whilst simultaneously making ball inflation faster and easier for the user. Quickly inflate sports balls with the FORZA Pump That Ball™ thanks to it’s innovative dual-action system which prevents the loss of any air pressure during inflation. Supplied with one euro adapter needle, this handheld pump has everything you need to properly inflate any sports ball. Dual-action pump prevents the loss of air pressure during inflation. 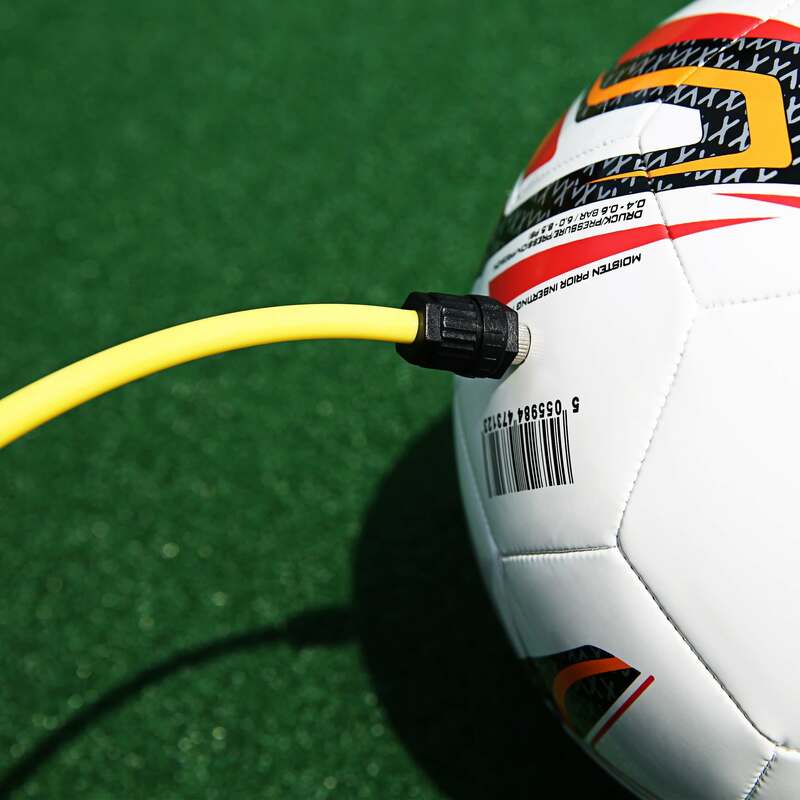 Handheld pump can inflate sports balls in under 10 seconds. Extendable nozzle allows you to pump balls in a more natural position. Euro needle adapter with innovative hidden storage compartment. FORZA branded florescent yellow exterior. Compatible with the Ball Pressure Gauge (sold separately) for accurate pressure readings during inflation. This portable pump boasts a flexible and extendable nozzle which allows you to inflate rugby, football and netballs in a position you find natural. Combined with the ergonomic “T” shaped handle you will find using this lightweight pump incredibly comfortable. The plastic handle also houses a hidden storage compartment for an additional needle, ensuring a spare is never too far away. You can pair this portable pump with the Ball Pressure Gauge (sold separately) to accurately check the pressure of your sports ball during inflation. Fitted with a precise analogue dial you will be able to inflate your balls in under 10 seconds, with the knowledge that they will always have the right level of air pressure.